Games. They always excite kids. 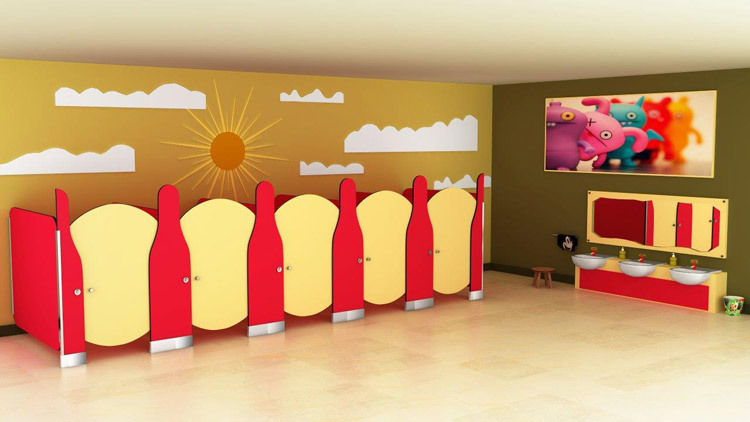 And to give a daily dose of excitement to kids we present Crazy Balls Restroom cubicle theme. Inspired by the kids, for the kids, this design will never run out of excitement. 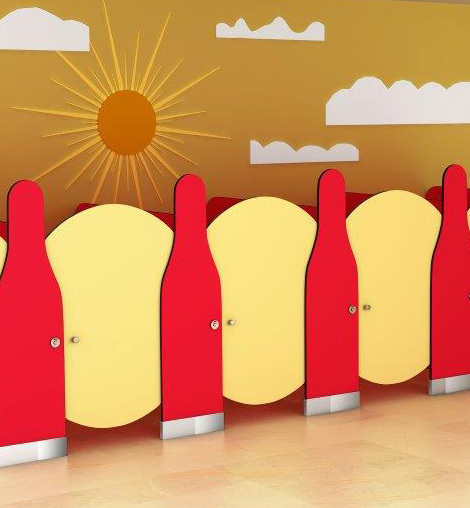 Ensuring these bowling pins don't fall like the real ones, they are being supporetd by stainless and U-channels, SS-shoe box plate, MS-base plate, rubber noise deafening tape, screws and wall plugs. Let the fun game begin.